Bengaluru metro has resulted in heavy monetary and environment losses to the government. 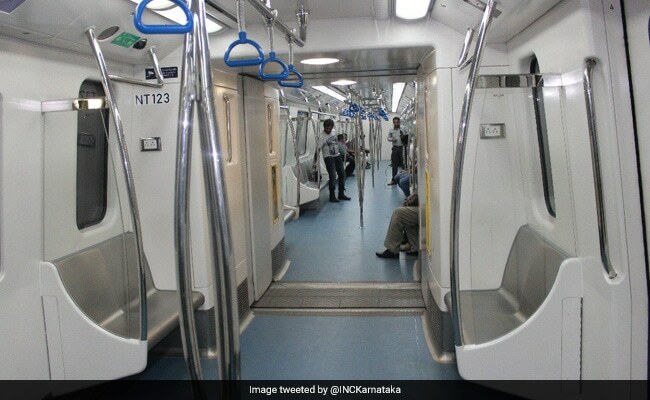 The last 12-km stretch of the total 42-km first phase of Bengaluru Metro is finally complete and was inaugurated by President Pranab Mukherjee today. The metro, cleared in 2006 and under construction for a few years now has been running three years behind its set schedule. It was supposed to be completed in in the year 2014. It has also resulted in heavy monetary and environment losses to the government. Managing Director of Bengaluru Metro Rail Corporation Pradeep Singh Kharola told NDTV that the reasons for the delay were not unsubstantiated. "There were valid reasons for the delay. You can't work around the clock, there are some places where you can only work in the middle of the night." He added, "There are areas where you can't use heavy machines, explosives. Bengaluru is sitting on the Deccan plateau - it is a very, very hard rock. We had never heard of tunnel boring machines breaking down - they are giants. So a machine broke down!" The section inaugurated today is on the North-South line and will primarily serve residential areas of the state capital. It is set to cut travel time for thousands of commuters in the traffic congested city. For example, those travelling from Majestic, a central bus stand in the city, to the southernmost part of the city will take only 20 minutes to cover the 12-km stretch. Presently, in peak traffic it takes an hour crawl through the same distance. Bengaluru's Namma metro was supposed to be completed in in the year 2014. There are 10 new stations on this route starting from the already operational Majestic station. These include: Chikpet, KR Market, National College, Lalbagh, South End Circle, Jayanagar, RV Road, Banashankari, JP Nagar and Yelechenehalli. But this addition, that saves an average commuter's time, came at a price. In the year 2005, it was estimated that the construction would cost Rs 6,375 crore. This cost elevated to more than double at Rs 13,854 crore after some additional kilometres were planned in the line. Defending the cost escalation, Mr Kharola said there wasn't any reason to worry. "If something was Rs 6,000 crore in 2005, the time value of money will make it Rs 13,000 crore today. The cost is comparable to metros in other parts of the country and definitely cheaper than metros built in other parts of the world," he said. 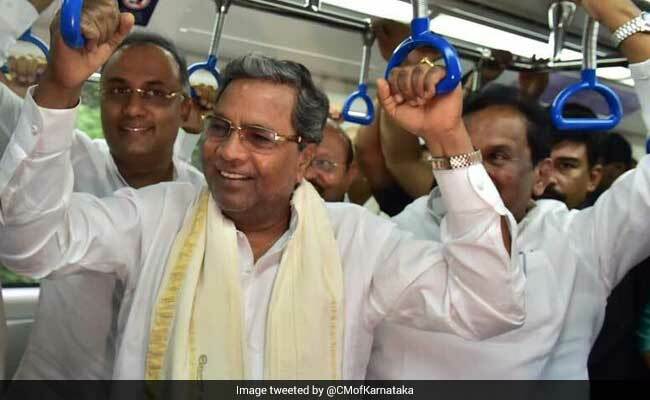 Karnataka Chief Minister Siddaramaiah inspected the metro a day prior to its launch. But what about the number of trees that were cleared out to make way for the sought after metro, one might wonder. Leo Saldanha from an Environment Support Group informed NDTV, "This Metro project never undertook an environment impact assessment. I have petitioned the High Court that agreed with me observing that Phase 1 of the Metro was not compliant with many laws particularly the Town and Country Planning Act. For Phase 2 the Court has instructed BMRCL to comply." Construction on Phase Two is underway and the first lines are planned to be operational next year.